SALE OF BEER IN STUDENÉ | The company Český Regent s.r.o. Czech Regent also owns part of the historic buildings of the Studená brewery, which also appeared in the famous film Postřižiny. Its history begins in the 16th century, and until 1945 belonged to the Lichtenstein family. After nationalization, it became part of South Bohemian Breweries. Beer production ceased in 1972. 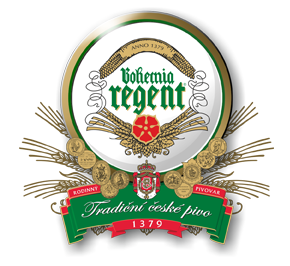 Later, Regent beer was produced for a short time, but full beer production never returned. In the historic grounds of the brewery, some scenes from the movie Postřižiny were made, especially those with the cleaning of lager barrels. Today the historic brewery is under a conservation order. However, it is in poor conditionand Czech Regent is trying to repair it. At present there is a shop with a whole range of Bohemia Regent beers, other alcoholic and non-alcoholic beverages and additional items.